Beautiful colors! And you've done a very nice job. My suggestion for keeping the lines straight are these: be as exact as possible when you are cutting and make sure your seam is exactly ¼". If you don't have a ¼" foot, then get one. It helps a lot. 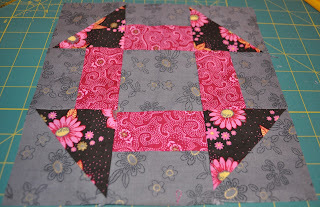 Also, you can check out this tutorial: Sewing Accurate ¼" Seams at Amy's Creative Side. if, by keeping your lines straight, you mean when you are sewing them, here's my suggestion: stack layers of masking tape or stack post it notes in front of your presser foot on the machine base, right in line with the quarter inch line on your needle plate. that is, if you are using a quarter inch seam (which is the standard). this acts as a guide when you are feeding the pieces under the presser foot. i hope i have explained this so that you can understand what i mean. you also have to be cutting your pieces straight. I love the fabrics you are using! Your daughter has good taste, and your blocks look wonderfully accurate! Your blocks look fantastic. This is art, not a race. 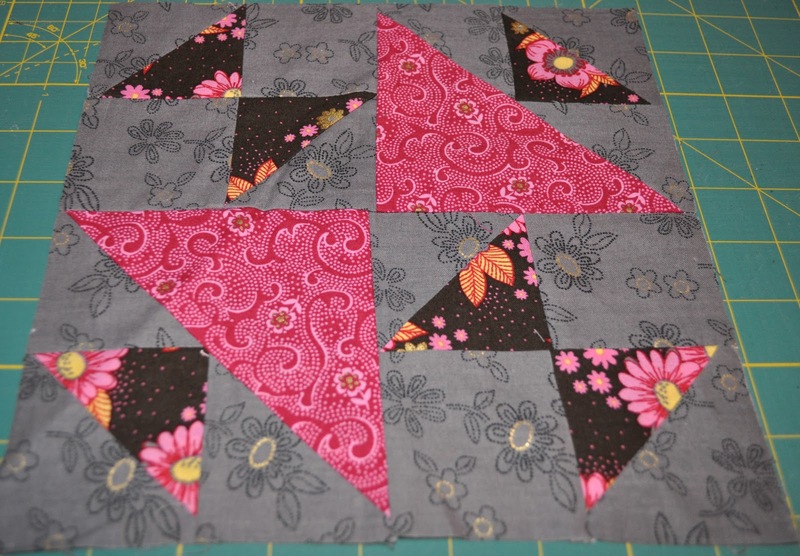 Techniques that let you make 2 Half Square Triangles at once are helpful in keeping things even so you don't have to deal with a bias edge. Good for you. Good for YOU!! It's important to have good block and quilt construction, but don't let the expectation (by self and others) of perfection weigh you down. Your daughter has an absolute treasure in a dad that will make something for her, and in a dad that quilts. Good for you! Hey, I *love* your fabrics. And your construction looks fabulous. You're a beginner?? :) You've got some great suggestions already. Do Internet searches for tutorials about anything you want to see tips and tricks about - there are GOBS of blog tutorials and YouTube videos covering everything you could think of. You'll often find several ways of doing a given thing, like making HST's, which will give you the option to find out which one works best for you, or for the particular situation you're dealing with. 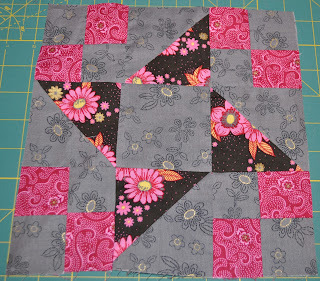 It's going to be so beautiful with all the different types of squares. 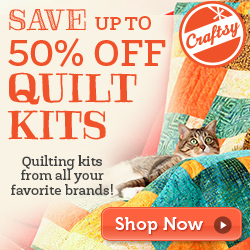 I just found out a couple of days ago that the local quilt shop does a square a month program for a year. 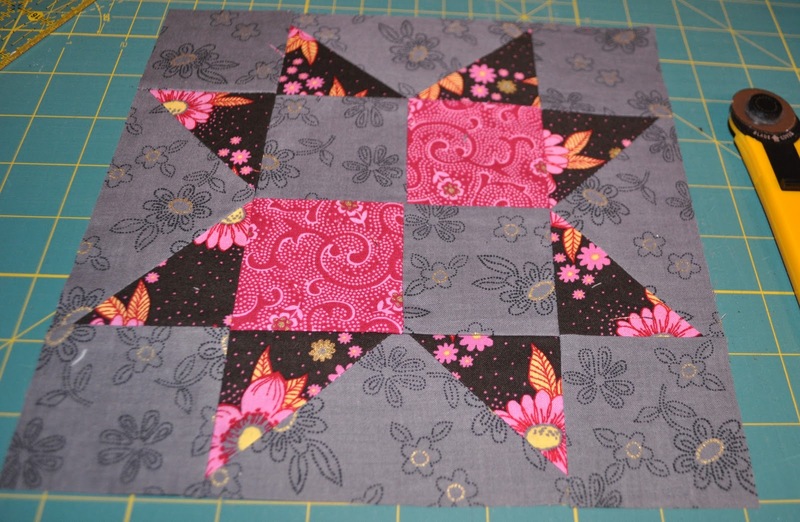 The next year starts in July and I really look forward to signing up and learning how to make squares like this. I really like these colors. Great job. Some one hide my CC! The need for a stash! !